Serena Williams appeared for a first television interview (on Australian show The Sunday Project) since ‘that’ meltdown at the US Open. The presenter asked for her opinion on what happened after which the US tennis ace stated that she still believes she was treated very unfairly and sexist. Related coverage: <a href="http://thegoldwater.com/news/36691-Australia-Herald-Sun-Faces-Backlash-Over-Racist-Serena-Williams-Cartoon"> Australia - Herald Sun Faces Backlash Over 'Racist' Serena Williams Cartoon</a>. Firstly, she remained adamant she did not receive coaching during the US Open final (even though her own coach has by now admitted otherwise). Secondly, the 36-year-old maintained her belief that men and women should be treated equally and says she was not. Ms. Williams, who was fined $24,000 for her meltdown by the US Tennis Association, could face further backlash as the umpire federation is threatening to go on a full-out boycott of her next matches. 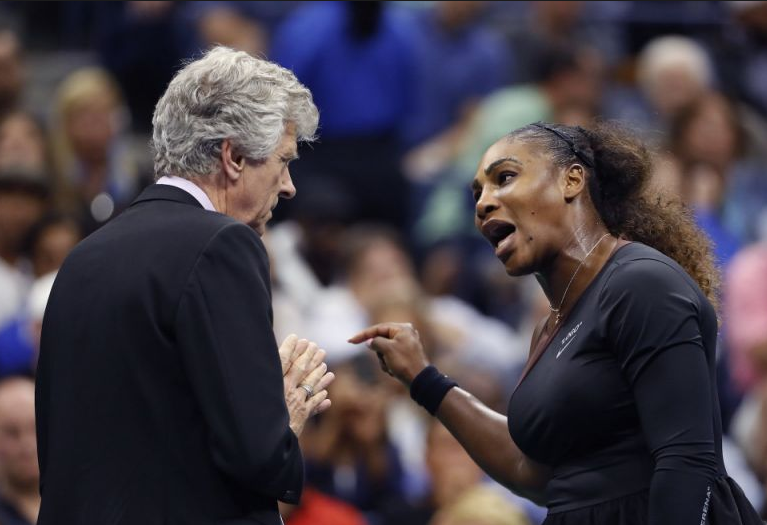 However, Senior umpire Bob Christianson is not buying Serena Williams’ sexism claims and admits that officials have indeed discussed a boycott of the American’s next match if she doesn’t apologize for her accusations. “What we’re looking for, we’re looking for an apology from Serena to the official or officials in general. And if we don’t get that, there might be a potential boycott of her next match.